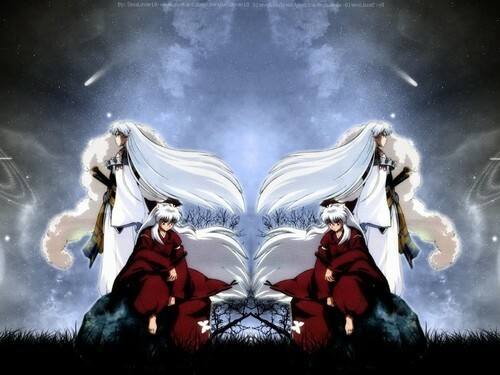 InuYasha and Sesshomaru. . HD Wallpaper and background images in the Inuyasha club tagged: inuyasha anime sesshomaru. This Inuyasha wallpaper might contain pectoral, égide, egis, pectorale, and cuirasse.